In my work, I’m blessed to meet a lot of women, and I’ve found so many of us are secretly struggling with the same pains. We’re in relationships that aren’t fulfilling. Or we’re unhappy with our bodies. Some of us are lonely. Some of us are listless in our work, uninspired. We’ve been told we’re too emotional or too sensitive. We worry we aren’t quite good enough. We crave passion. We yearn. And yearning is good! We yearn because we’ve heard those whispers of passion stirring. We know, somewhere deep, that we are bubbling with desire and creativity and vibrance and beauty. It’s not lost. That bubbling and stirring and whispering is a calling to reconnect with the Divine Feminine. It’s a calling to remember who we really are. When we do that, the rest falls away. We stand shining: authentic, strong, beautiful and desirable. So how to do we do it? There are four goddess energies – the maiden, the mother, the enchantress and the wise woman – that we as women innately channel, in tune with the phases of the moon. It’s as simple as becoming more conscious of those goddess energies, understanding their gifts and honouring them. Mother goddess energy, for instance, can do wonders for your love life and your sense of connection to the earth. Wise woman goddess energy infuses your life with more mystical, psychic and intuitive experiences. This stuff may sound “new age-y” but it’s ancient knowledge that our grandmothers’ grandmothers’ grandmothers knew as common sense, and our birthright as women. Would you like to learn more? Fantastic! Because I’m so thrilled to be offering: my signature practice Moon Goddess – a yoga and meditation class unlike any yoga and meditation class. It’s for women only and is completely dedicated to exploring and playing with these beautiful goddess energies – energies that will encourage self-love, creativity, joy and serenity in your life – not to mention that gorgeous yoga glow! Read more about the upcoming 1-day retreat. Zahra Haji is a modern day Goddess – really! She’s also a certified Yoga Teacher and Therapist passionate about women’s physical health and spiritual balance. Inspired by kundalini yoga, meditation and educating women about their bodies and cycles Zahra created Yoga Goddess to reconnect women to their own innate wisdom and sensual, feminine beauty. 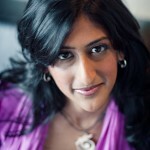 Zahra is the first Yoga Teacher in Canada to combine yoga, meditation and awareness of the menstrual and moon cycles. 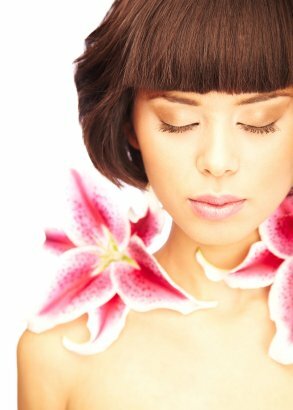 She has authored 2 signature programs: Sensual Magic, and her great passion Moon Goddess.